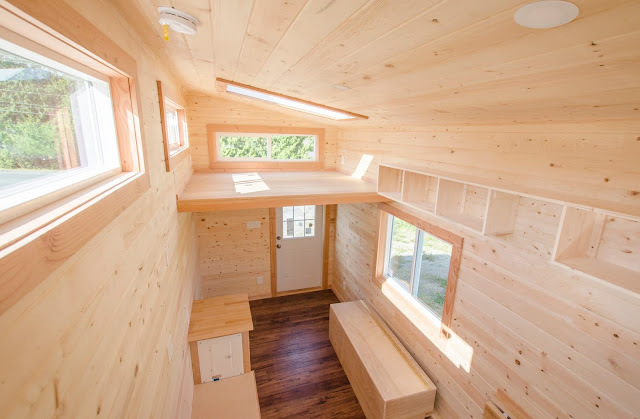 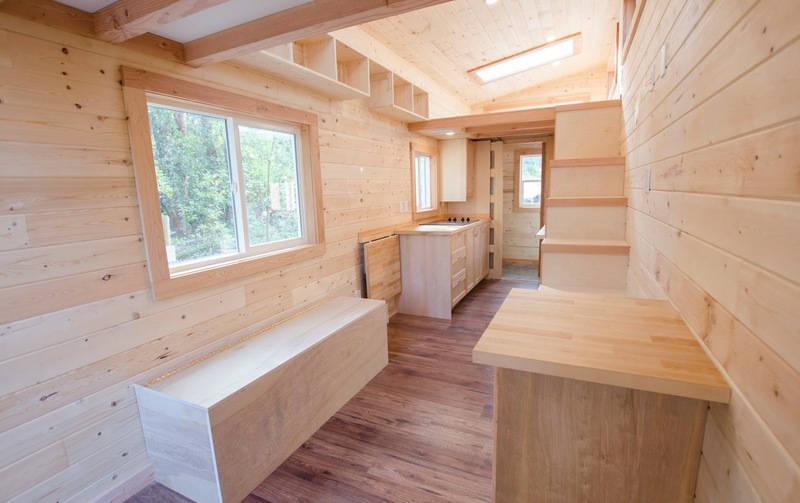 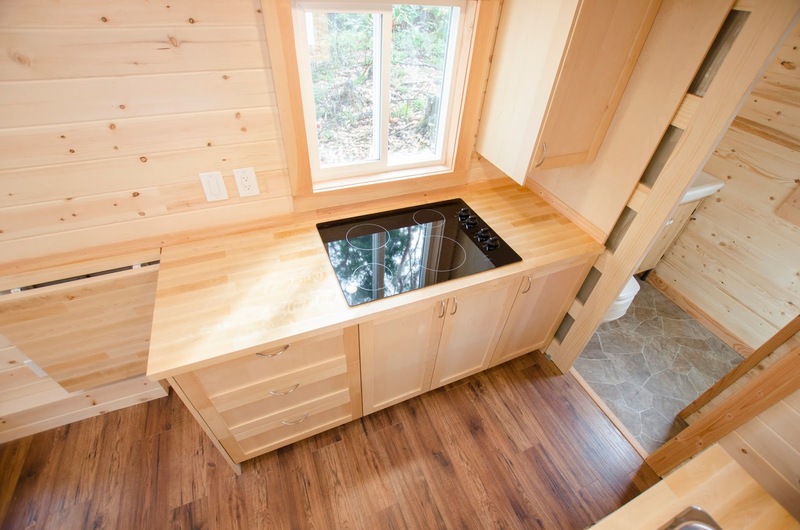 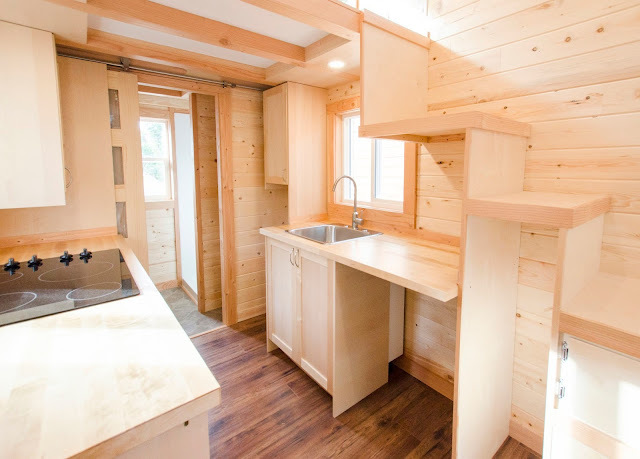 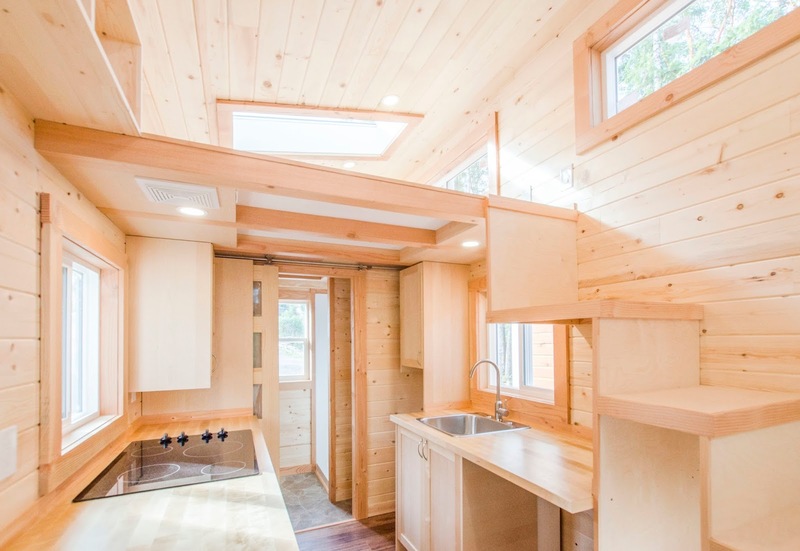 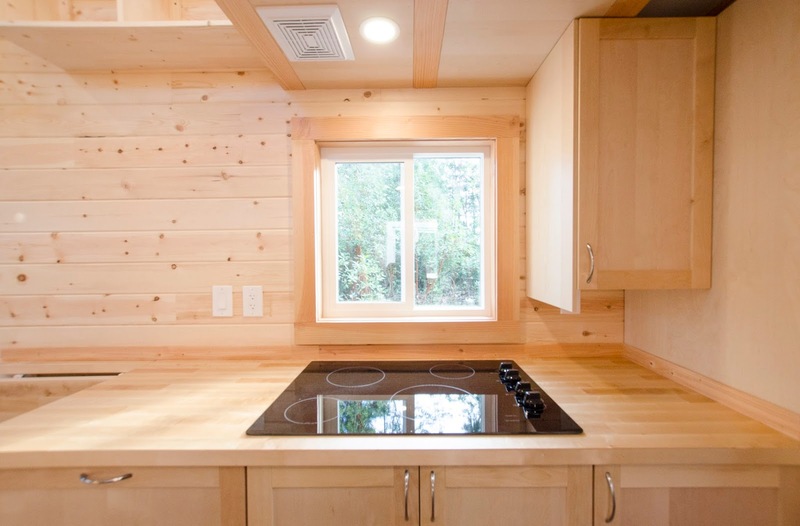 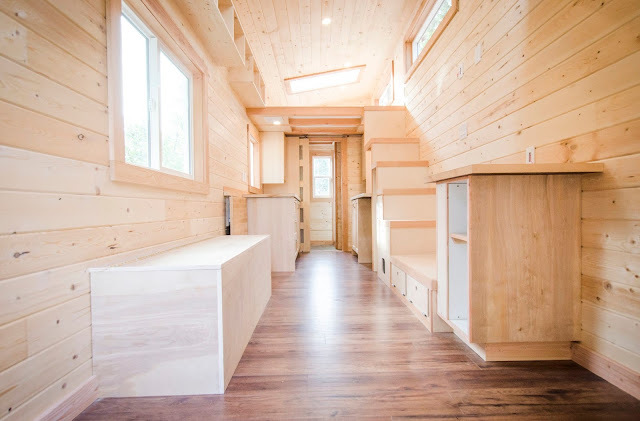 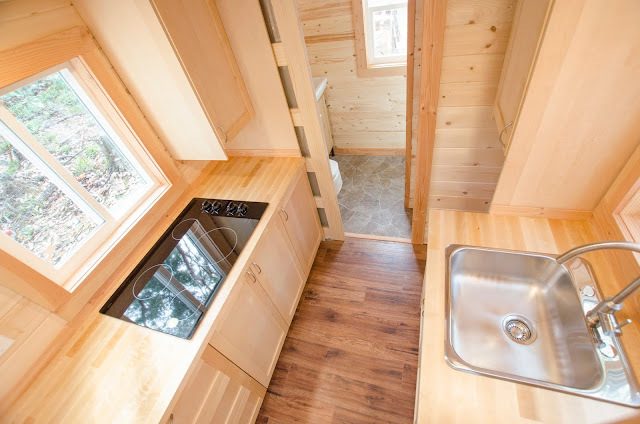 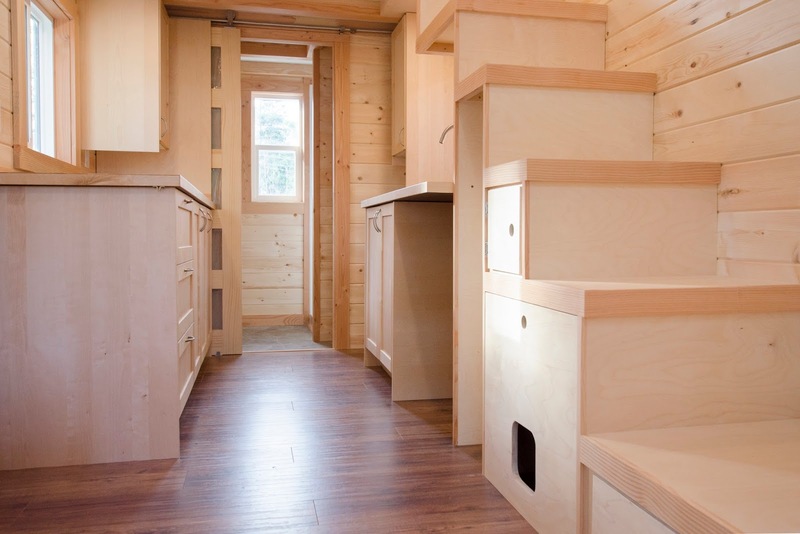 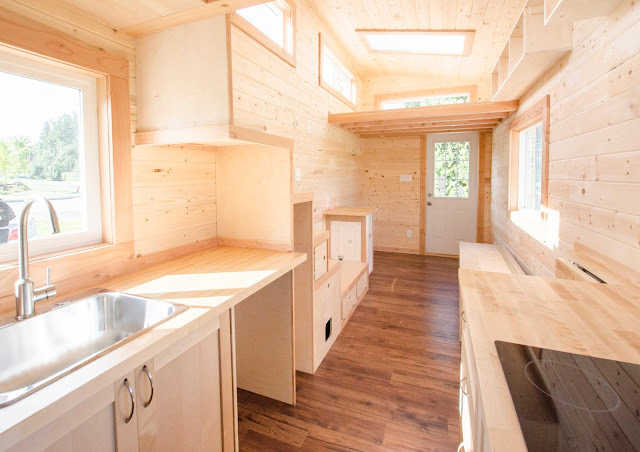 From Canadian builder, Rewild Tiny Homes, is this sleek and cozy cabin on wheels! 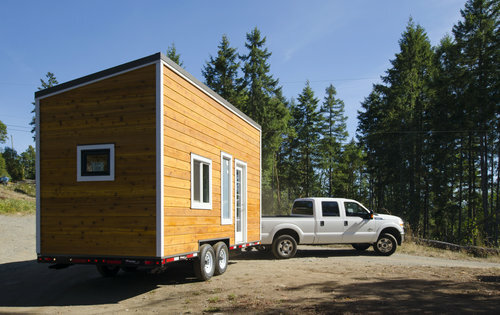 Named the "Warbler" the home was built onto a 24' double axel trailer. The home's interior features a bright, clean layout and includes a full kitchen, a foldable table for dining and working, a living room area, bathroom, and a loft bedroom. 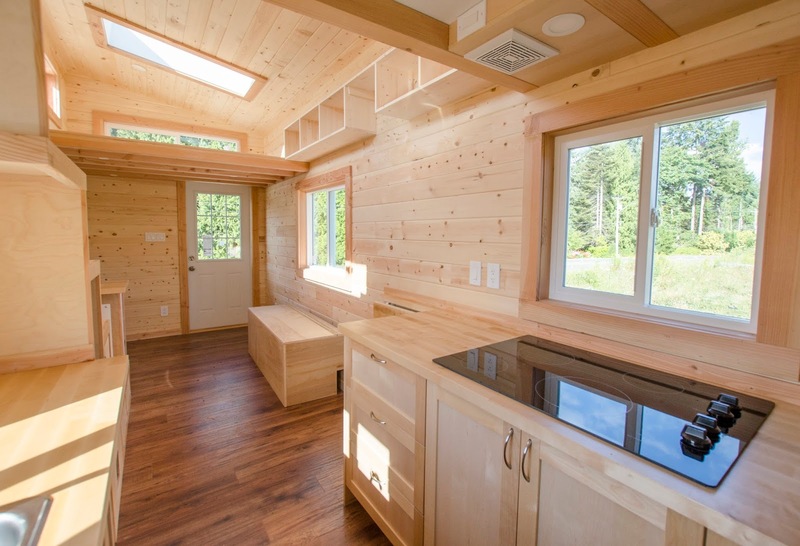 The Warbler's exterior features local Vancouver Island cedar siding with a shed slope tin roof. 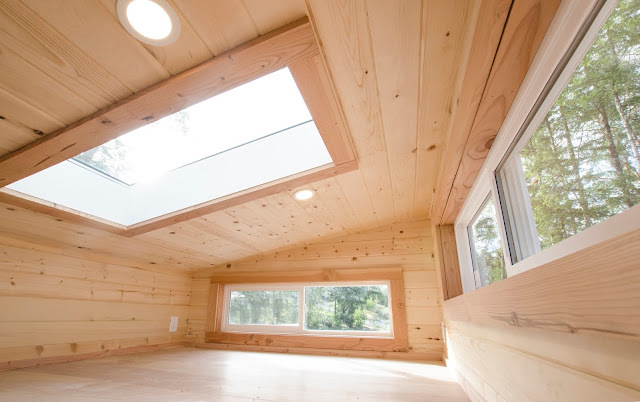 There were also two skylights added to flood the home with natural light. 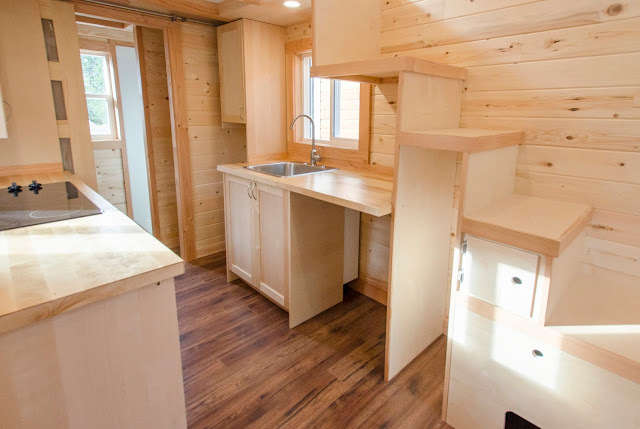 Be sure to check out a video tour of the home below!